We’ve already had so much amazing fan art for the show, and it always makes our day when our supporters share their art with us. Today we’re focussing on fan videos though. Here we have a selection of fan made trailers from the super talented Claire Newman, and quite frankly, she makes our boys look good! The First Musketeer is out on June 1st 2015! Watch all 6 Episodes for free on our Official YouTube Channel! Over the last few weeks we have released a number of clips from Season 1 of The First Musketeer on our official YouTube Channel. Just in case anyone has missed them we’ve curated them all here. 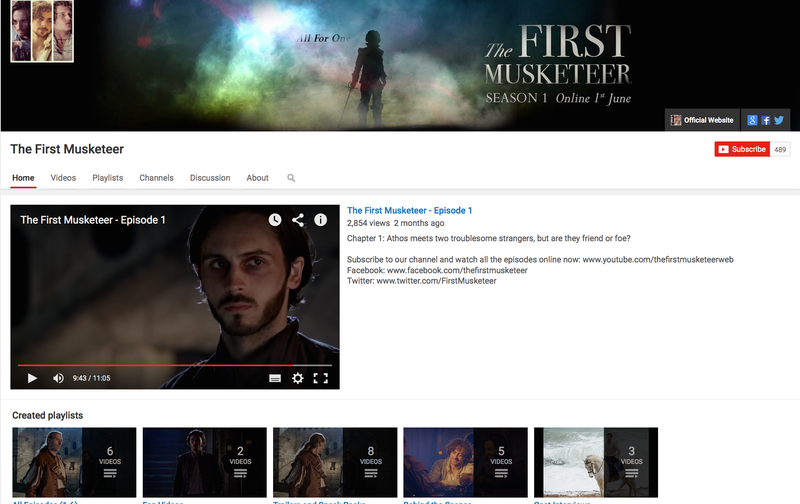 Don’t forget to subscribe to our YouTube Channel for all the latest clips and updates from the series.